This week, one hundred years ago, Éamon de Valera made his first appearance in Cork as the national President of Sinn Féin. In the Easter Rising of 1916, de Valera commanded an occupied building and was the last commander to surrender. Because of his American birth, he escaped execution by the British but was sentenced to penal servitude. After his release from Dartmoor prison in June 1917, he almost immediately won a by-election in East Clare, standing for Sinn Féin. The by-election was caused by the death of the previous incumbent Willie Redmond, brother of the Irish Party Leader John Redmond who had died fighting in World War I. De Valera was elected President of the Sinn Féin party and of the Irish Volunteers in October 1917. On Saturday 9 December 1917 on the occasion of De Valera’s visit to Cork, the Cork Examiner records that he arrived by the 8.30am train from Dublin, and was met by large contingents of Sinn Féin sympathisers who escorted him through the streets to the Grand Parade. He was accompanied by Messrs J J Walsh, Liam de Róiste, Tomás MacCurtin and other local leaders of the movement. A large force of extra police were on duty in the streets, but no incident of violence took place. A public meeting of very large dimensions was held at 3pm on the Grand Parade. Mr Liam de Róiste again presided. 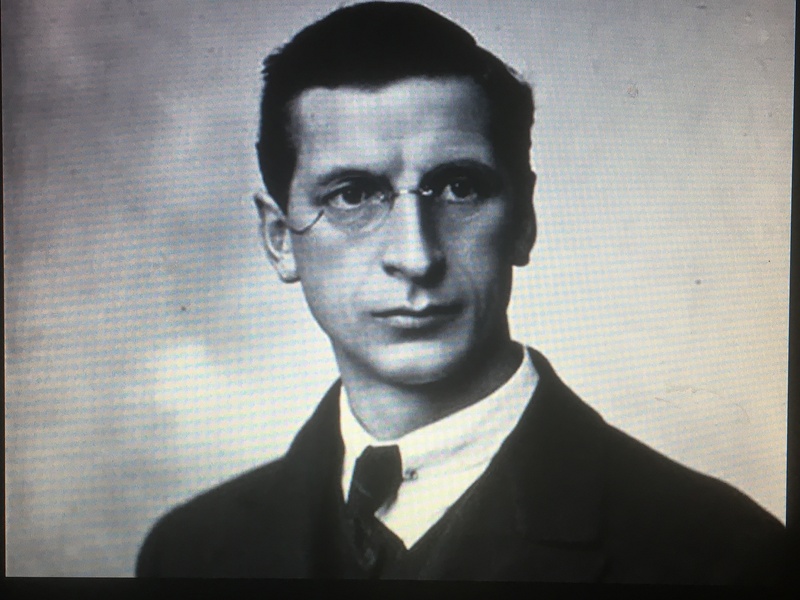 Éamon de Valera reiterated the aims of Sinn Féin – to secure recognition for their island and their nation as a sovereign and independent State, an Irish Republic. Their methods would be to use “every method and every means available for their people to win that”. At the settlement of peace talks in Europe a chance would come their way, and they were going to prepare themselves to be in a position to avail of it. They would go to the peace settlement talks as they were a nation in subjection against their will or as he quoted “by that militarism which the Allies, at least, put before the people – as the reason for which they were waging the terrible war”. De Valera believed that the war was to protect small nations, and to him America was in the war to liberate the peoples who were governed against their will. He declared that the Irish nation was governed by England against its will. De Valera detailed a letter he wrote to the Freeman’s Journal a few days previously, which was reply to a speech of a member of the Irish Parliamentary Party, John Dillon. It was intended, according to De Valera, to show the people of Ireland that the campaign being followed by the Nationalist politicians and their press aimed to misrepresent them and was tiring in its pursuit of Home Rule. John Dillon was a member of the original committee of the Land League from the late 1870s and was a strong support of Prime Minister’s Gladstone’s Home Rule Bill in its initial pitch. Dillon continued his interest in obtaining Home Rule for over four decades. On the outbreak of the first world war, John Dillon, almost agreed to his leader’s stance in support of the British war effort, but did not share John Redmond’s enthusiasm, nor did he participate in the recruiting campaign in Ireland. He became increasingly concerned at the effect on Irish opinion of the government’s marked disregard of Irish nationalist sensitivities as the war evolved. For the duration of the rising of 1916 John Dillon was the only Irish party leader in Dublin, secluded in his house in North Great George’s Street, a short walk from the General Post Office. 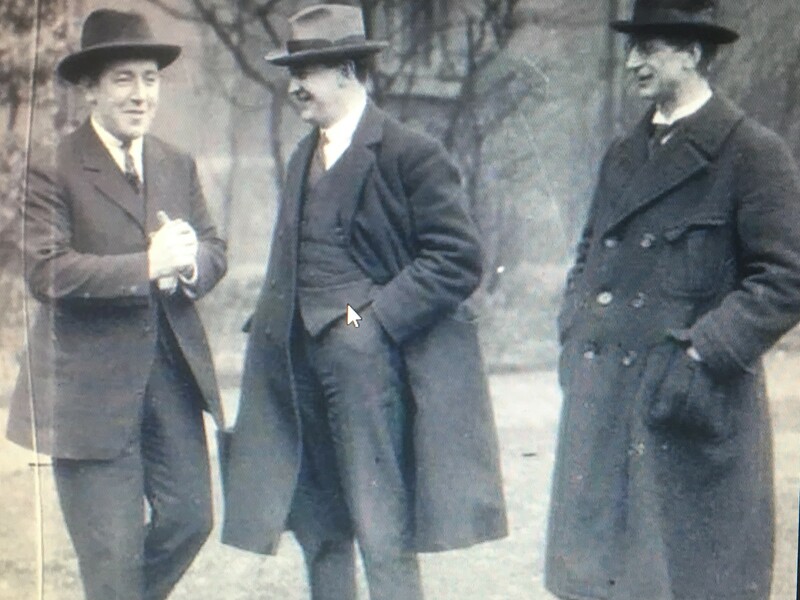 In the immediate aftermath he wrote urging John Redmond to impress upon the government “the extreme unwisdom of any wholesale shooting of prisoners”. DeValera’s outings at Sinn Féin rallies undermined the Irish Parliamentary Party. He articulated strong comments to the Cork crowd in December 1917 a moral on how the positions of politicians in the Party were weakening. He described them as tigers in the process of being caught and tiring in their pursuit of their prey; “A poor tiger got in and trampled on a large gummed sycamore leaf but the tiger did not want to have that leaf stick to his paw. and he tried to shake it off, with the result that it got stuck more to him; and in its exasperation, it rolled on its back and got coveted with such leaves. Anyone who would try to reply to Mr Dillon or the Press in that way would meet with the same fate as the tiger. When one tackled one or two big lies in the Press a thousand little ones were put forward to support them. Lies grew like bacteria – they could have one or two in a moment and in half an hour they would have a bottle full of them”. At the end of Éamon deValera’s oration, Liam de Róiste in declaring the meeting ended, appealed to all who were convinced of the righteousness of Sinn Féin to join their organisation. They were out for recruiting for Ireland, and if they were an organised nation, “there was no force on earth could keep freedom from Ireland”. Secret Cork, which is my 2017 book, and published by Amberley Press, is now in Cork bookshops. For information on other publications or the back catalogue to previous columns, check out www.corkheritage.ie.